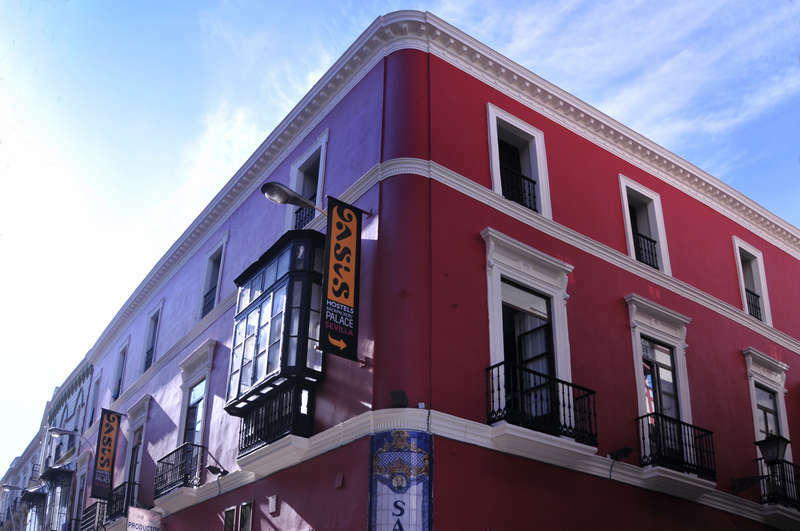 At the Oasis Backpackers' Hostel Palace in Seville we have many types of accommodation for all types of travellers. From multiple person dorms to private doubles, we have you covered. All rooms come standard equipped with comfortable beds, personal lockers, linen, blankets, key card access and free Wi-Fi access. Of course you can also order our delicious breakfast served daily until 11h (only 3€), never ending supply of hot water, 11h30 checkout, after check-out baggage storage and all the accumulated knowledge and service of our world famous local and international staff. 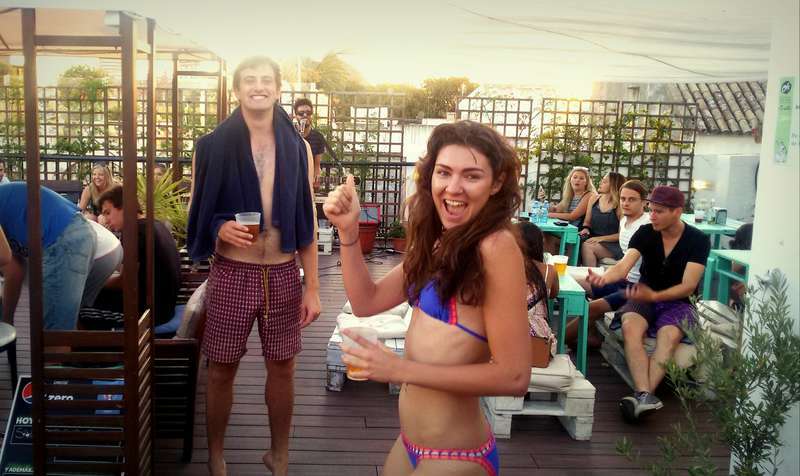 Oasis Backpackers' Palace Hostel is where to stay in Seville for travellers looking to experience something different. 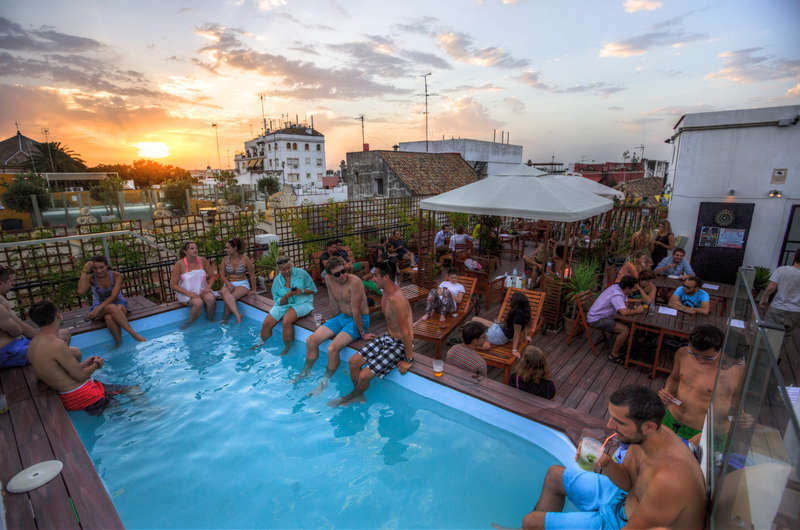 Our Oasis Backpackers' Palace is located right in the heart of Seville between the famous Plaza Encarnación, an architectural highlight with its modern panoramic views, and Plaza de Armas, one of Seville's two bus terminals. Once you're outside the station cross the street and look left—you'll see a large open plaza called Plaza de Armas. Cross the plaza towards the left of the Hotel NH Plaza de Armas and continue on Alfonso XII Street. Walk straight for 400m. Once you pass by a plaza with the big trees on your right (the square is called Plaza del Museo because of the fine arts museum) turn right on the next small street, Almirante Ulloa, where you'll find us in the big red building at No. 1. Take the tram (there is only 1 line and the stop is in from of the station) from Prado de San Sebastian bus station to Plaza Nueva (1.30€). Then go onto Tetuan Street and walk straight until Plaza del Duque/La Campana (you'll see a Burger King on your right). Turn left onto Alfonso XII Street and walk straight till you see a red building on the corner on the left side of the road. Turn left on this street; the entrance is on Calle Almirante Ulloa No. 1. We have a 24hr cancellation policy. Late cancellations and no-shows shall be charged the equivalent of the first night's accommodation. Reservations for Holly Week ( 9th till 16th April 2017) and April Fair (2nd till 7th May inclusive) , can be cancelled without fee 15 days before arrival. If the reservation is cancelled after 15 days before arrival we will charge the TOTAL amount of the reservation as a cancellation fee. Our Apartments are 5 minutes walking from the main building. Each reservation includes free lockers (no padlock), air conditioning/heating and FREE linen. The shared kitchen is modern and has everything you need to make your favourite dish. At the check in we will ask you for a 5 Eur deposit for the key. If you wish to rent a towel the rental is 2€ plus a 5€ deposit. We have padlocks available at 3 Eur.